The Cruiser Mate is the ideal tool for insurance claim officers, salesmen and students. Antimicrobial additive effectively reduces the formation of bacteria and fungi on product. High-capacity clip holds 1" paper securely and includes a built-in license/card holder. 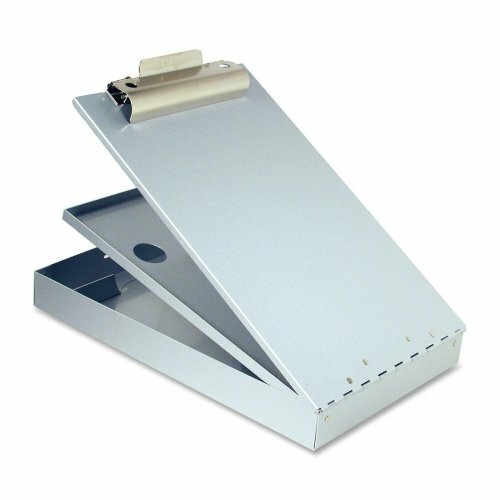 Sturdy aluminum form holder features two separate storage trays. The bottom has a built-in pencil tray and 1" capacity for extra forms, reports, logs or tools. Additional 7/16" compartment for completed forms remains closed under the cover until needed. Upper tray is removable. Self-locking latch keeps the compartments securely fastened. Form holder is made of aluminum with a high percentage of recycled material.